People wiser than myself suggest that letting go of the past is a key part of being a mature adult, or at least helpful in maintaining one’s sanity. And maybe baseball helps you learn that: You delight in your successes, suffer through your defeats, and savor the beauties of the game. Then you move on. Win or lose, there’s always next year. You start with a clean slate and take in the new season as it comes, with all its surprises. But then again, if you haven’t reached that level of growth and acceptance that allows you to watch a pitcher walk in a run without cursing under your breath, baseball can be an exercise in disappointment and can lead one into the depths of bitterness, cynicism and despair. Take the Oakland A’s. After last year, a season in which they executed a transformation from contender to bad joke, fans would be foolish to expect much from the team. Yet we — and here I mean my family and I — re-upped our partial season tickets, signing up for another season of fresh air and high beer prices and a roster loaded with unknown quantities. 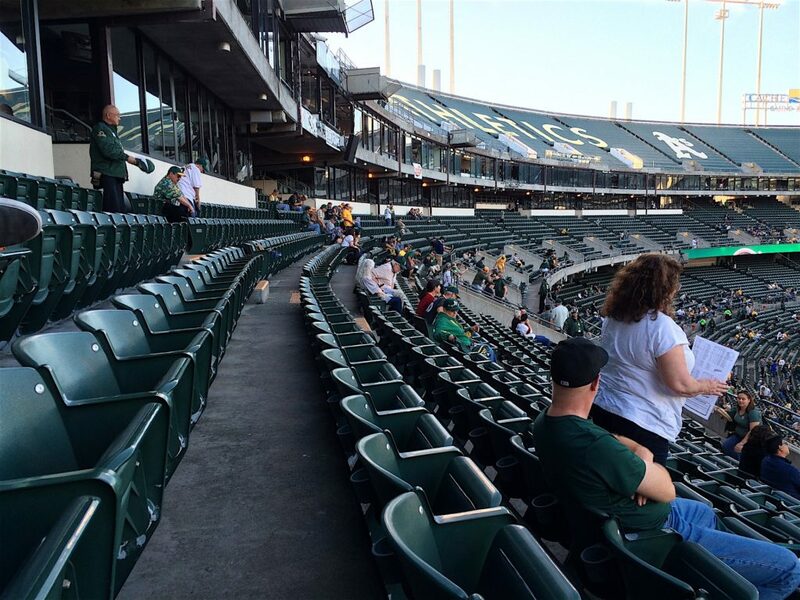 The A’s played their opener Monday night and had what they call a capacity crowd — capacity at the Oakland Coliseum having been reduced by one-third several years ago by blocking off most of the stadium’s upper deck. Well, it’s nice to have a full house on opening night. It’s an occasion. But the next night is probably a better indication of where the fans are at. Although the team’s business and on-field strategy is a little inscrutable at this point — it apparently no longer includes the concept of assembling a winning team, for instance, let alone hanging on to productive and popular star players — one suspects that an empty stadium for the season’s second game isn’t a sign of the franchise’s robust health. 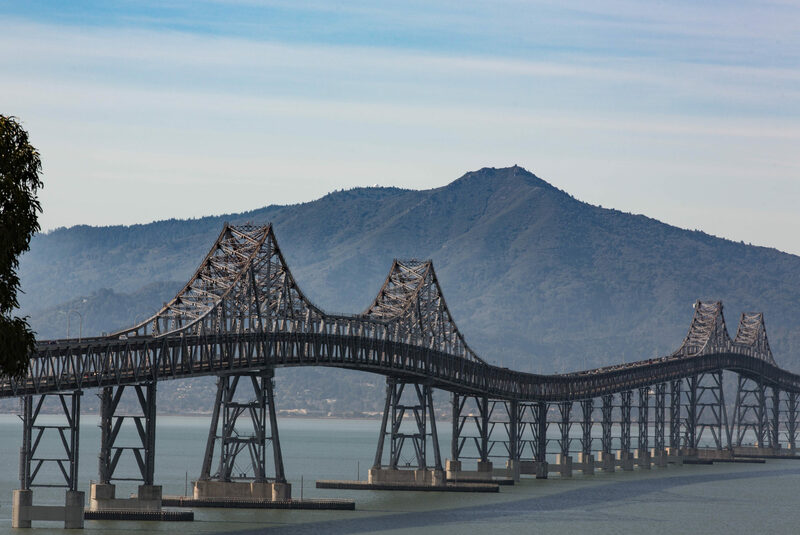 But somehow, the A’s bend over backwards to make those few who decide to attend their games feel extra welcome. Last night’s game featured a “guest services” guy in our mostly empty section who descended on everyone who took a seat to check their tickets. With tens of thousands of vacant seats, you wouldn’t want people to sit just anywhere they feel like — people shouldn’t get an iota more than they paid for. 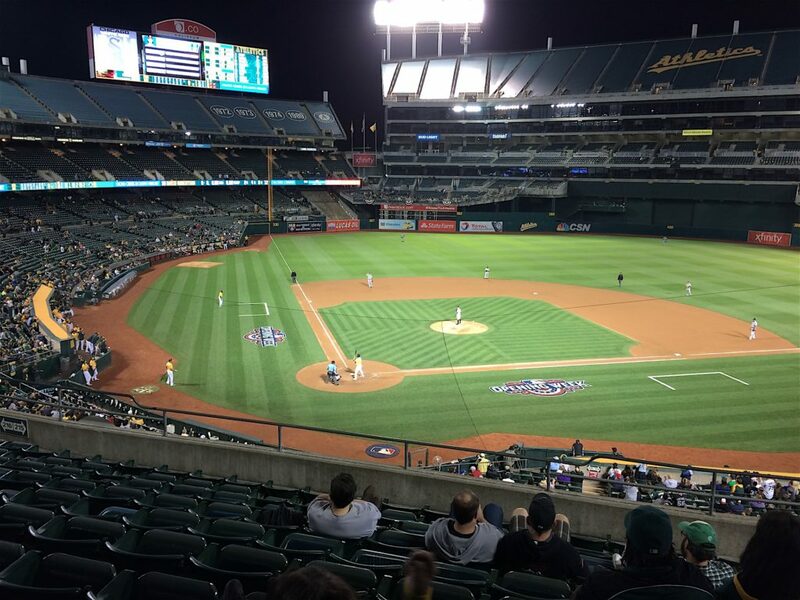 The Oakland Coliseum during an Athletics’ weeknight game, April 2016.